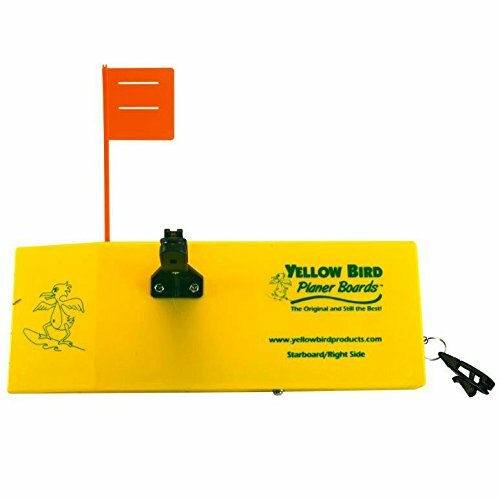 Each Yellow OR12L side planer includes a stationary flag, two or19 releases, two 6/32 screws, two nylon nuts, one split ring, instructions and is carefully ballasted to run flawlessly in rough water off of your rod line. 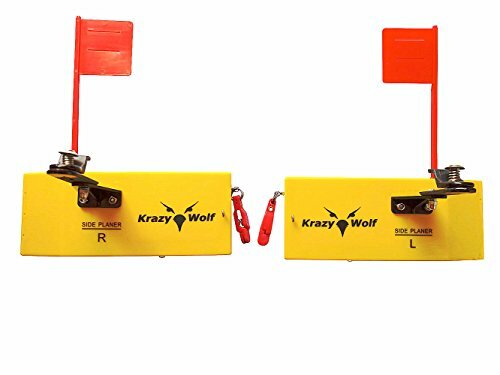 Ideal for walleye and most fresh water fish. Tough, flashy, juicy and cooked to perfection, gold label is the superstar of the world famous balls o' fire line-up and our hottest egg in recent years. Pautzkes exclusive, industry leading glitter egg is the only salmon egg on the market with added flash to deceive more and bigger fish. Glitter embedded in and on the edges of the egg is an added magnetism that draws trout in from Great distances. Gold label is a combination of our popular premium balls o' fire egg and offers just enough glitter to pull in trout, yet not define the egg. The glitter is a used as a visual stimulant, whereas light reflects off the glitter and draws trout in for a closer look. Combine the glitter with our trademarked juices already crammed inside the egg and strikes can come instantly. Gold label is best used in clear water conditions where the glitter can fabricate the maximum amount of light reflection. However, they can be fished in any body of water on treble or single salmon egg hooks. While most anglers drift them solo, successful Mountain trout anglers have been known to use them in conjunction with other pautzke color combinations including premium, Yellow jackets, and orange deluxe. 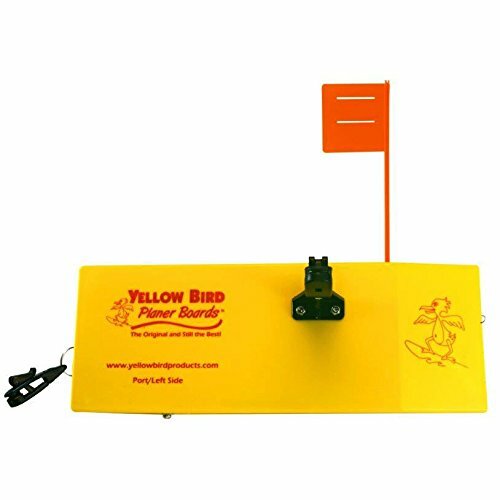 Yellow Bird Fishing Products "Totally Redesigned" New 8"
These new boards are made from ABS (recycled) plastic for durability, they include a working Tattle Flag System (No Extra Charge) along with our latest additions of an Enclosed Back, Adjustable Weight System and New Locking Snap Release. Like all our boards they are uniquely marked with Red for Port and Green for Starboard, just like the lights on your boat, so you can never forget which side to run them. 3" wide x 8" long (Also available in sizes 5", 10", 12") There's a reason everyone calls them Birds! 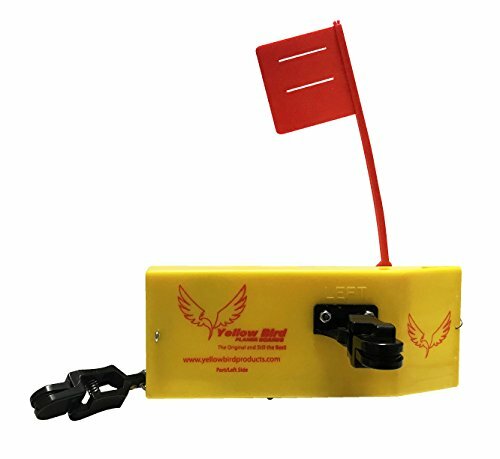 Yellow Bird Fishing Products "Totally Redesigned" New 12"
Available in 2017... Introducing the New 12" Planer Board from Yellow Bird, now a board that can handle the "Kitchen Sink", load them up with lead core, copper, clip-on weights and more. These are meant for the real tough jobs when trolling for those "Trophy" fish like pike, musky, stripers, kings, browns, lake trout and saltwater fish. 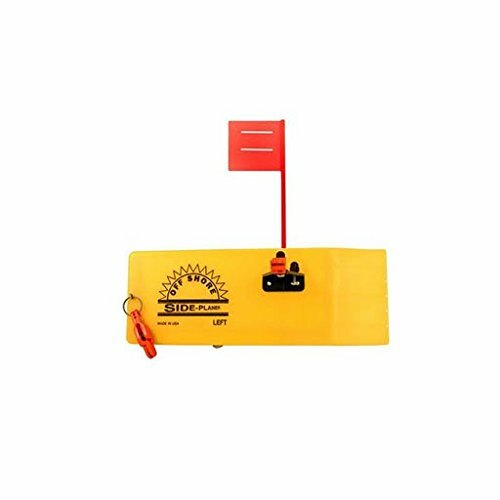 These new boards are made from ABS (recycled) plastic for durability, they include a working Tattle Flag System (No Extra Charge) along with our latest additions of an Enclosed Back, Adjustable Weight System and New Locking Snap Release. Like all our boards they are uniquely marked with Red for Port and Green for Starboard, just like the lights on your boat, so you can never forget which side to run them. 4 3/8" wide x 12" long (Also available in sizes 5", 8", 10") There's a reason everyone calls them Birds! Off Shore Side Planer boards are unbeatable for stability and performance. Ballast keeps planer upright even at low speeds. Excellent for deep-diving crankbaits, buck tail jigs, and swim baits. 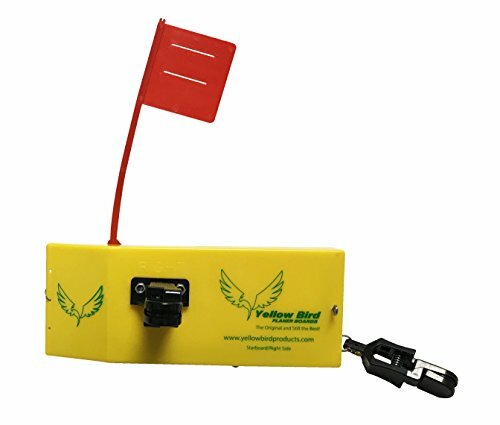 Gives the boat the same capabilities as expensive outriggers by spreading out your rigs and cover a wider area while trolling. 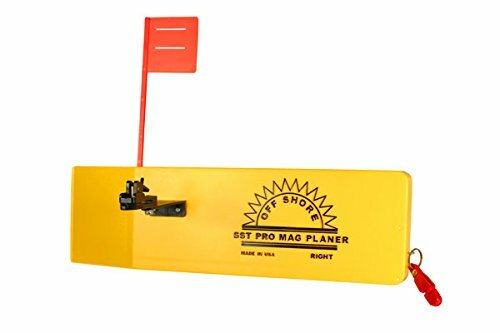 Comes with 2 OP-14 heavy tension Planer Board releases and Sight Flag.Port (left)Sh. Wt.5 lbs. 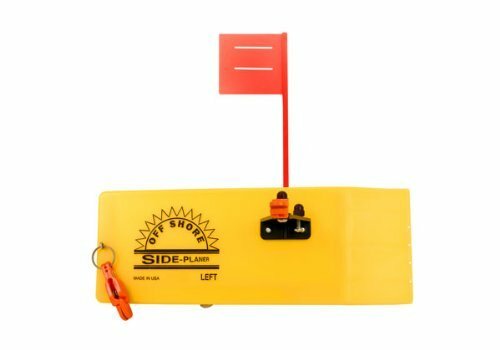 New changes to the Off Shore Tackle OR12 Side Planer for 2017! 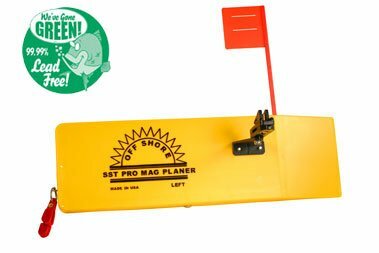 Compare prices on Offshore Side Planer at ShopPlanetUp.com – use promo codes and coupons for best offers and deals. We work hard to get you amazing deals and collect all available offers online and represent it in one place for the customers. Now our visitors can leverage benefits of big brands and heavy discounts available for that day and for famous brands.